Final Bannermen Alpha Weekend Coming Up! The fifth and final Alpha Weekend is coming up this weekend! Bannermen will be available on Steam from Saturday morning (9:00 CEST) to Monday morning (9:00 CEST). A lot of new features and improvements have been made since last weekend, below are some of the bigger ones. - New nature power: Volcano Outburst. - New Karthor spell: Dark Shroud (debuff cleanse, increased movement speed, pass-through walking, untargetable). - Announcer sounds (enemy warnings, supply warning, temple notification etc). - Two desync bugs resolved. - Building grid visualization when placing down a building. - Hero production/revive countdown added. - Attack-move on minimap added. - Balancing adjustments: Enforcer's Shield now removes stuns, cleanses debuffs and disjoints incoming projectiles at the activation point. Karthor's spell Hunted Vision replaced by Dark Shroud. Increased Catapult's attack speed. Lowered Spearman's attack range. Doubled the armor received when researching Purified Steel. Improved Cleric's frame data when casting Dark Swarm. Removed cooldown time on Cleric's spells. Increased Convict's movement speed when the fuse has been lit. Increased Jester's attack range for Perfume Cloud. Decreased Perfume Cloud duration. Added heal buff when clearing a nature camp. Everybody, let's meet up in the Bannermen Discord and make this final weekend even better than the previous ones! If you participated in earlier alpha sessions, you don't have to apply for a new Steam key - your old key will still be valid. Otherwise, please join our Discord server and apply to secure a key for this final alpha session! Limited Offer: -34% Sale on Bannermen! $500 Bannermen Tournament, Registration Now Open! Big Bannermen Content Update & Tournament Announced! 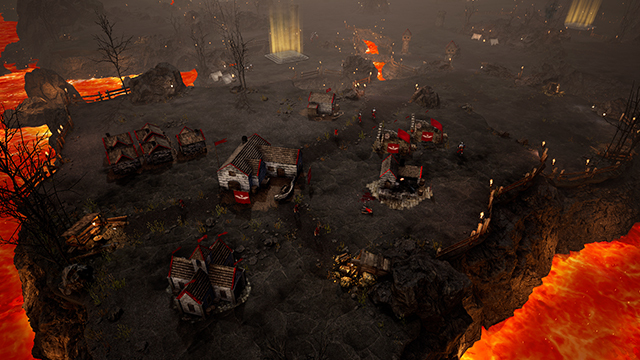 Following changes have been made in Bannermen after the beta, up until full release version.